What a beautiful start to the year it has been. The spring flowers are much to be celebrated and the light nights are ever increasing. Today I want to share with you the absolute joy that is, The Boy at the Back of the Class by Onjali Q. Raúf. Not only is this one of the books of the month for April, but this book also won the overall prize for the Waterstones Children’s Book Prize 2019. It’s current, relevant and an incredible read. I thought I’d take the photo in my garden with this little guy. The protagonist reminded me of him a bit. Look at his cute little face! Told through the eyes of a group of friends, Tom, Josie and Michael, this novel is something we can all relate to in so many ways. The story starts with an empty chair in a classroom following the absence of a student who had moved to Wales. A group of friends are naturally inquisitive and want to know why Mrs Sanders (the head of the school) and Mrs Khan (the teacher) are whispering at the front of the class. After a short amount of time, a young boy walks in behind Mrs Sanders. Ahmet became the focus of everyone’s attention. He looks very sad indeed. Outside of lessons, Ahmet is nowhere to be found. After all, from the children’s point of view. it’s hard to make friends with someone when you rarely see them. However, one thing that is described so beautifully are his eyes. It’s the one thing that the character of Alexa (the story teller whose name we do not learn until the final chapter of the book) focuses on. The children wait until the end of the day and eventually they see him! They’re over the moon, but it doesn’t quite go as planned, despite having the lemon sherbets. As days went by, the group of friends continually waited for Ahmet to give him gifts of sweets, chocolates and fruit. Over time, Ahmet started to make improvements with them. A smile here and a wink there. All signs he wanted to be their friends. After overhearing comments about how Ahmet is a ‘Refugee Kid’ the storyteller decides she doesn’t care and it really doesn’t matter. Finally, she gets a nod from Ahmet. A sign to her that it doesn’t matter that he’s a ‘Refugee Kid’. What is beautiful in this novel is the storyteller clearly has an amazing mum. Working in the local library, books and knowledge centre their world. Naturally curious, the storyteller asks her mum questions about these children and their backgrounds. It all rings so true with the images we have all seen in the media. However, the child friendly language used makes it seem relatable by everyone; young and old. Ahmet joining the class raises more questions than answers. Yet, the children are focused on being his friend and learning more about him. They had learnt that he was from Syria and had to flee from war. The storyteller and her mum decide to go off in search for pomegranate in the hopes that Ahmet would like this reminder from his home. One part of the novel that absolutely had my heart breaking was Ahmet telling his story, with pictures, to show the class what had happened and where he had come from. Story time is something so common in every classroom in the country. This one created a lump in my throat. Ahmet tells his class all about his home in Syria, his mum and dad, as well as his sister and their cat. The war in Syria had led him to flee on a boat (like those seen on our television screens) to some form of safety. He went from Greece to the setting of the novel and his new school. To a new beginning. After telling his story hands shoot up around the classroom with yet more questions. The storyteller extends friendship further by offering her beloved Tintin comic to share together. We learn the truth about Ahmet’s family – his sister, mother, father and cat and why he is all alone. Then something happened that changed everything. Whilst travelling on the bus, the group overhear a conversation about the refugees. Again, it is a conversation we have all heard over time with some sympathetic views in comparison to the more judgemental views. Nevertheless, the children hear that the border is about to be shut, meaning Ahmet won’t see his family ever again. Despite telling their teachers, the group feel slightly fobbed off. It’s time to make a plan, or three, just to be on the safe side. 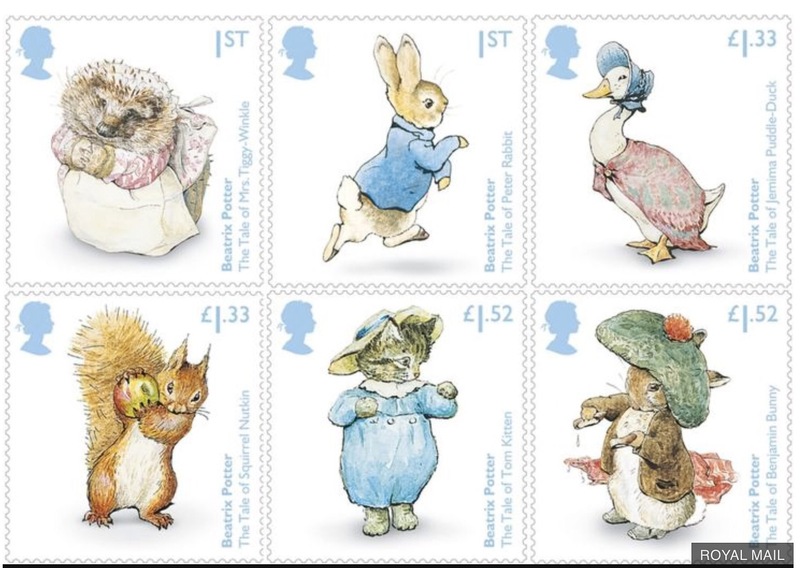 These include writing to the Prime Minister or creating a Special Appeal. But, that wasn’t the greatest plan of all. The greatest plan in the world involved writing to our one and only Queen of England. They even create an emergency plan, just in case! Time was plodding a long and the children were well aware about the discussion about the borders being closed. Therefore, it was time for them to work together and head for a London adventure! They had to help Ahmet and his family before it was too late. After navigating the trains and making their way around London, they need to get to the palace. They had presents for the Queen too! The first character they meet is Stan the Taxi driver. He’s a hit straight away! Following Stan they then meet two Cold Stream Guards: Chris Taylor and Walter Kungu. After a mini adventure in itself, the guards promise to give another letter to the Queen and the presents they brought for the Queen too. As you can imagine, what came next was complete stardom. The children were in the news and causing a stir around the whole world! They even had a reply from the Queen. Finally, the children and Ahmet had some good news. Alexa also had her birthday. In fact, it is here that we finally learn her name! Her birthday was a complete surprise but the best gift wasn’t for her at all. It was for Ahmet, her best friend. This book should be read by absolutely everyone. I mentioned throughout about comments we would have all heard in the media or even in our every day lives. However, this novel brings a voice to so many children and families who have been in this situation. It’s about friendship and kindness and the fact that we can always do more to help. The childlike innocence throughout is endearing and beautiful. This book is a deserving winner and an excellent read. It stands for something so much more than we ever could realise. Welcome to October! The leaves are changing, it’s definitely getting colder and Autumn is fast upon us. What is perfect about this time of year is it’s the right time to get cosy on the sofa, in a chunky blanket with a book. Before my Read The Year post for September, I wanted to share with you the news that Roald Dahl’s Matilda was published 30 years ago today. Happy birthday Matilda!! I can’t believe it’s 30 years old – only two years older than me! It’s fascinating how it’s stood the test of time. That’s because it’s absolutely brilliant!! I have so much love for Matilda in my heart. The message that good will always conquer evil is one to remember, even when we feel most defeated. Also, the comfort and joy we can get from a good book cannot be understated. For Matilda, it’s all she has at some points in her life. By pure coincidence, I’ve had a really Matilda orientated weekend. I went to Manchester to see the touring cast of Matilda the Musical. It was awesome! Just as amazing as when I went to see it in London. (see here for information!) I have a huge swell of pride about this as it started in my beloved Stratford upon Avon. It’s grown into this incredible production which is now being shared across England. Go and see it if you get chance, you won’t be disappointed! To celebrate 30 years, Quentin Blake has released a number of drawings and illustrations which reimagine Matilda as an adult. Blake shows Matilda as a poet laureate, an astrophysicist, a special FX artist, a world traveller and the CEO of the British Library. I chose the latter cover to buy to mark this special occasion. Also, in my opinion, it’s the most likely career I think Matilda would have. Also, how beautiful is this cover?! In true Quentin Blake style, the illustrations are just awesome. It’s so clever to be able to see the potential lives Matilda could have had. The opportunities are indeed endless. Regardless, it’s a beautiful book with the original story and illustrations within. What a relief this has been republished for the world to consider where the incredible little girl would be now. So, happy birthday Matilda! I hope this novel continues to give hope to those who need it, shows that good will conquer evil and shares the love of learning. Matilda, you are a beauty. Today marks a special date in the literary world. 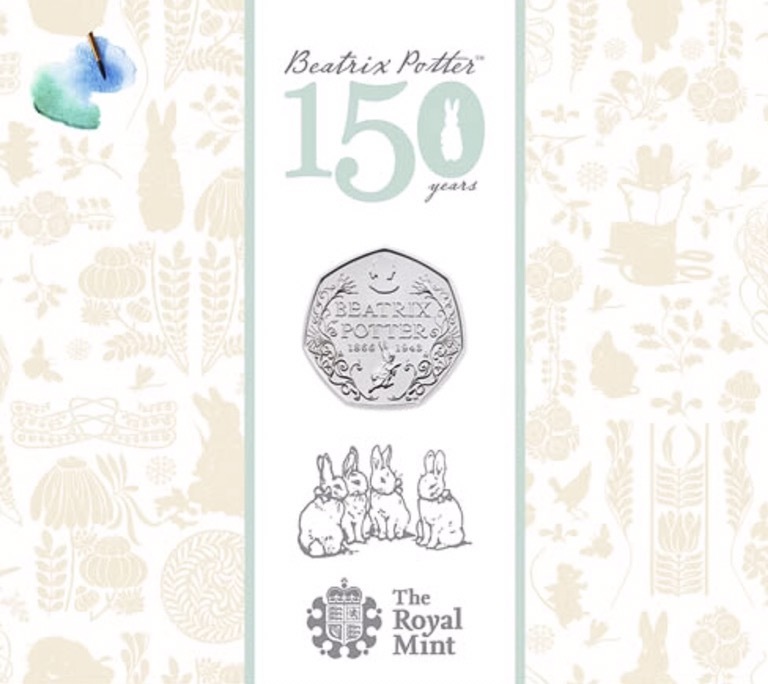 It is the 150th birthday of the one and only Beatrix Potter. The legacy she leaves behind is remarkable. 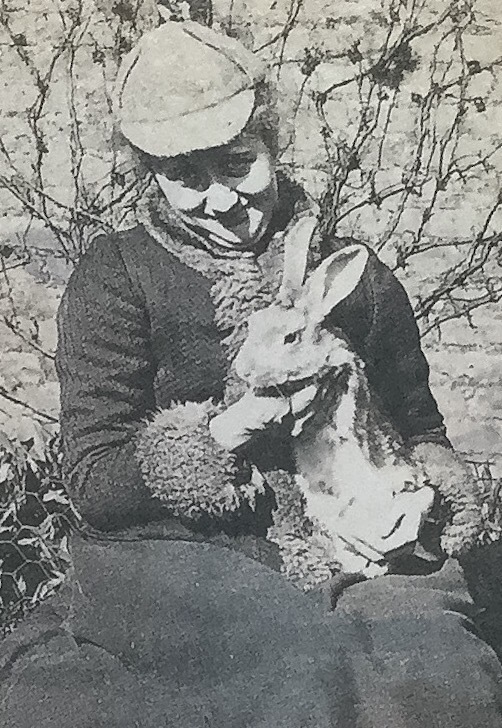 She was a keen writer, illustrator and sheep farmer. Her beautiful house is available to look around. It is as she left it, with her nick-nacks placed as she wished. The National Trust are looking after her property and grounds now. To celebrate, a few weeks ago I found this lovely looking book from a National Trust shop. I can’t wait to learn more about the books I loved growing up. There are some beautiful photos in this book too. So, I’ve been thinking about how I can mark this birthday in my own way, in a way that’s special to me. I’d love to visit her house, but the chances of that are quite unlikely due to distance. 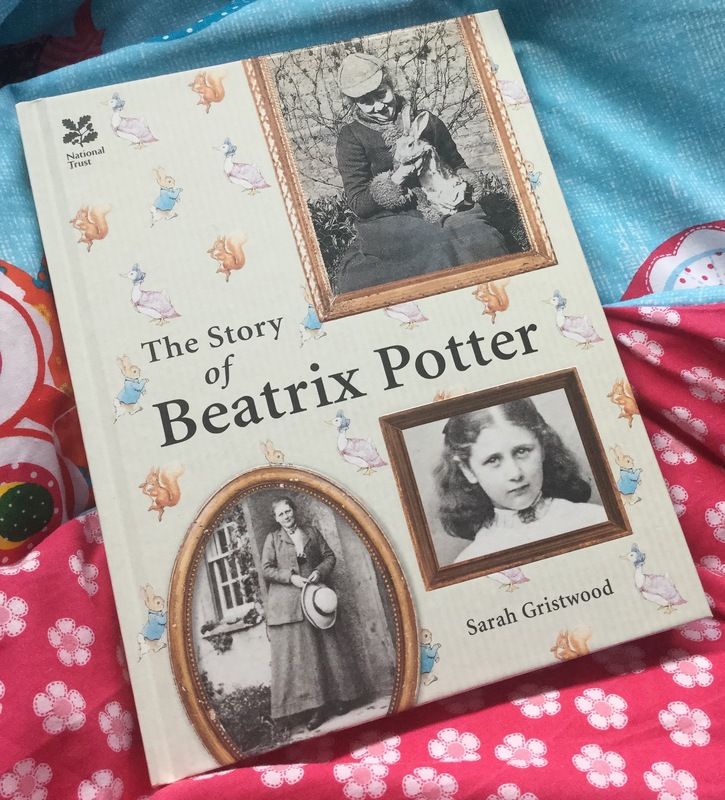 Therefore, I’ve decided that this summer I am going to read my favourite Beatrix Potter stories, in the garden, in the sunshine. There’s no bigger tribute that I can give as one person. Without people reading her stories, her legacy would have died long ago. Let’s keep the magic alive. 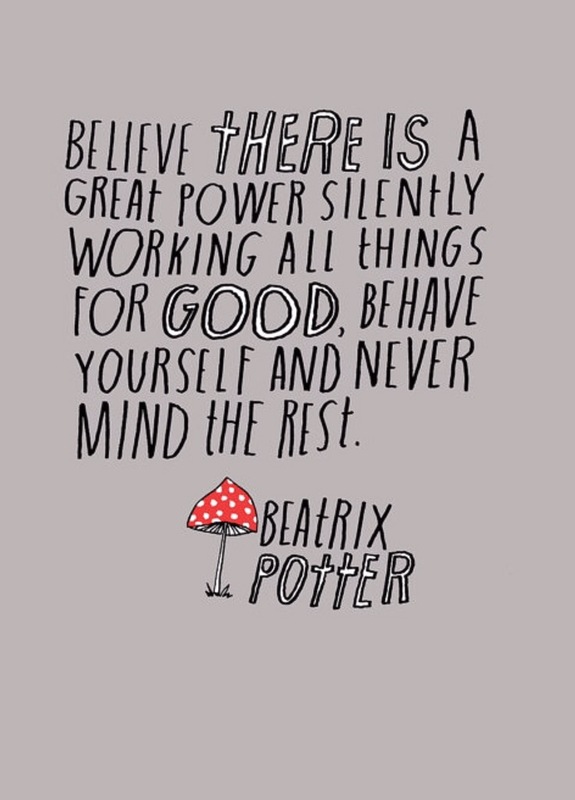 A hearty thanks to Beatrix. You’ve made many a childhood more exciting and adventurous. You’ve made children love the outdoors and animals. I have vast memories of reading these stories at my Grandma’s house as a youngster. 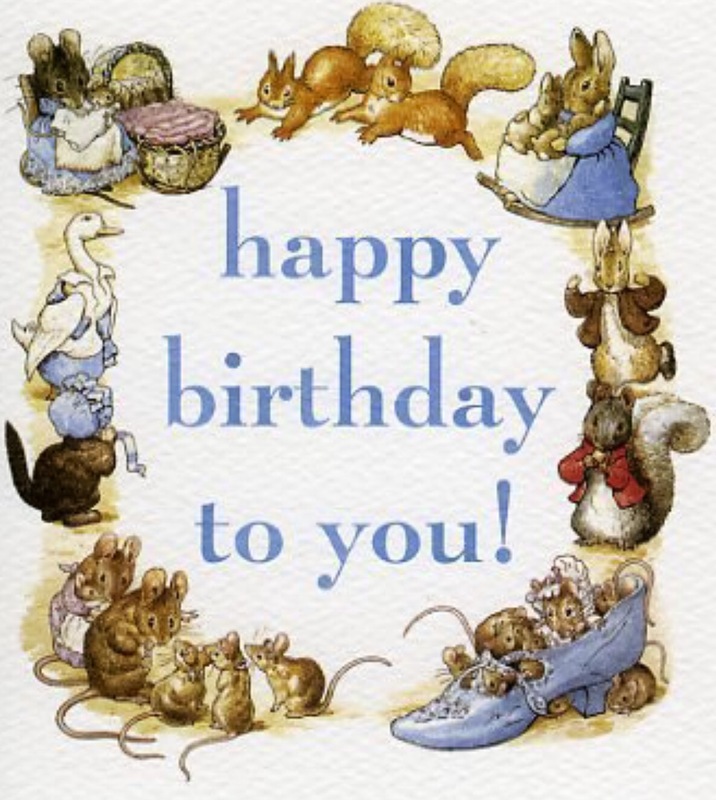 Beatrix Potter lovers out there, what are you doing to mark such a special birthday? 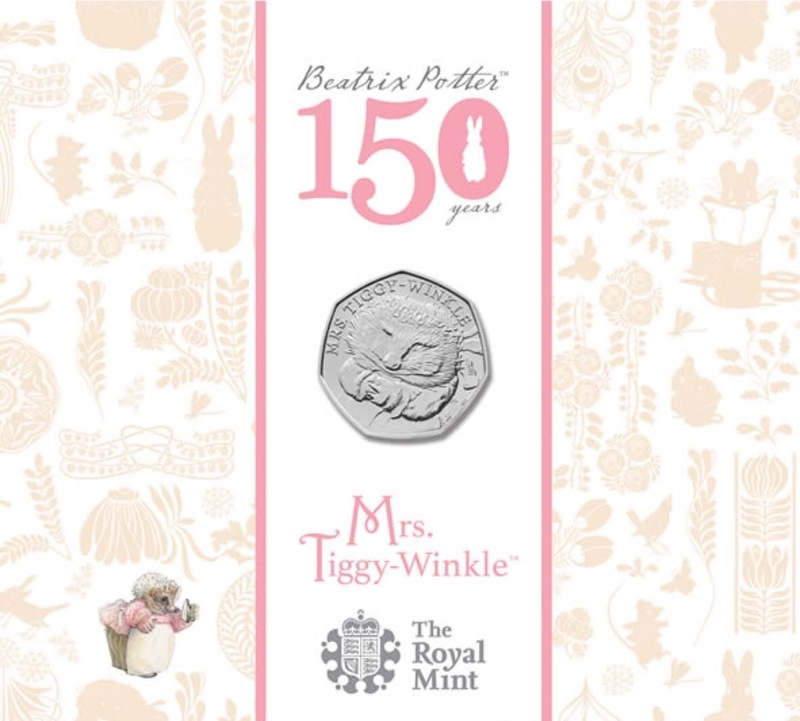 Have you been lucky enough to get one of the 50p coins yet? Hope you’re well on this Sunday evening and that you’ve had a restful weekend. I’ve been having a mooch online and stumbled across this list being advertised on Facebook. Naturally, I was inquisitive. It’s an interesting list based on, as the title of this post suggests, the 50 books every child should read by age 16. I had to check this out. Now I’m a bit of a geek and have a spreadsheet based on what books I’ve read and in what year. #booklovenotashamed. I was curious to see how many I’d read and I wanted to pass this onto you guys to see which ones you’ve read by this age. The ones I’ve read are striked out. The Lion, the Witch and the Wardrobe- C.S. Lewis – Read after age 16. Didn’t really take my fancy as a child or an adult. James and The Giant Peach- Roald Dahl – & then again at university. It formed part of my dissertation! The Railway Children- E. Nesbit – Watched the film, but haven’t read the book. Oliver Twist- Charles Dickens – Read but after the age of 16. This would have been a huge book to read at that age! The Jungle Book- Rudyard Kipling – Nope… Loved the Disney film too much. Watership Down- Richard Adams – Saw the film. It left me traumatised. Harry Potter and the Deathly Hallows- J.K. Rowling – Read a number of times BUT it was published after my 16th birthday. The Secret Diary of Adrian Mole, aged 13 ¾ Sue Townsend – Read a couple of years ago when she sadly passed away. Great Expectations- Charles Dickens – Read at university. LOVE it. The Secret Garden- Frances Hodgson-Burnett – And saw a theatre adaptation. The Diary of a Young Girl- Anne Frank – Read after the age of 16. The Boy in the Striped Pyjamas – John Boyne – Another book I’ve read, but it too was released after my 16th birthday. Tom’s Midnight Garden- Phillipa Pearce – I knew the story but didn’t read the book until I was studying a children’s literature module at university. The Curious Incident of the Dog in the Night-Time – Mark Haddon – Read but again it was released after my 16th birthday. Would love to see the London theatre version as well. This is an awesome list. Ok, there is a minor flaw that some books were published after my 16ty birthday; it serves as a pretty good reading list. It’s definitely a list I will be sharing with my students at school. Books I’ve read: 32, 22 by the age of 16. Not bad going! What about you? I’d love to know! I hope you’re having a relaxing weekend wherever you all are! I was tagged by the wonderful Erika @ Bookventureland to take part in the Harry Potter tag. I’m really excited. As I’m sure you all know, growing up with the HP books means that they are very special to me. I still go back and read them today which excites me A LOT. I still feel the magic. Anyway, onto the tag. For me, my favourite book is Harry Potter and the Philosopher’s Stone. I can remember reading this book for the first time. The magic, the surprise, the twists and turns. You can’t replace that feeling first time around. The mystical platform, the train journey, the fact that it starts at King’s Cross fascinated me. The description of Hogwarts automatically made me want to enroll. It was just pure magic. My favourite movie would have to be Harry Potter and the Prisoner of Azkaban. I love Sirius. Also, it’s where things started getting a bit more scary (not that I enjoy too much of that) but I do like suspense. The Dementors really got me. Especially in the films. Proper scary. Easy for me, I don’t have one. They each have their own merits and besides, imagine if the ‘least favourite’ got cut? That would be awful. I love them all. Oh dear. I was a blubbering wreck through these novels I must admit. The death of Dumbledore, the death of Dobby, the death of Sirius. Just awful. Also, I cried with anger at myself for getting Snape wrong. It was lovely to see him in a different light in The Deathly Hallows actually. As well, the layers to his character over the 7 novels; his loyalty to Dumbledore, his love for Harry’s mother, his hidden emotional turmoil. I felt bad for being so against him. I cried when it was all over as well. Mmm I have many. This is rather difficult. I obviously love the trio of Harry, Hermoine and Ron. I adore Dumbledore though. I can’t forget Dobby, Sirius and Luna. Neville is adorable too. This is too hard! However, I do appreciate the alliterative names in the novels. A personal favourite thing of mine! 6. What would your Patronus be? A fluffy rabbit because I think they are super cute. I’m not sure how effective this would be, but indeed a rabbit. With floppy ears please. 7. If you could have the Resurrection Stone, the Invisibility Cloak, or the Elder Wand, which one would you choose? 8. What House would you be in? Gryffindor. I would be exactly like Harry though and beg not Slytherin. No offence to the house of green. 9. If you could meet any member of the cast, who would it be? Matthew Lewis aka Neville Longbottom. He’s just lovely and sweet. He’s changed so much as well! Bless him. 10. If you were on the quidditch team, what position would you play? Beater. I’m quite a protective person, so this position seems to fit my personality/character traits. I’d like to think I’d be pretty good at it, but I was never much good at swingball or tennis as a kid. Hmmmmm. 11. Were you happy with the ending? Sure! I was just sad that it did end if I’m honest. Ms Rowling has done an amazing job at getting and keeping a generation into reading. Of course, it had to come to an end at some point. It was always going to be emotional when it did. 12. How much does Harry Potter mean to you? It pretty much defines my childhood. 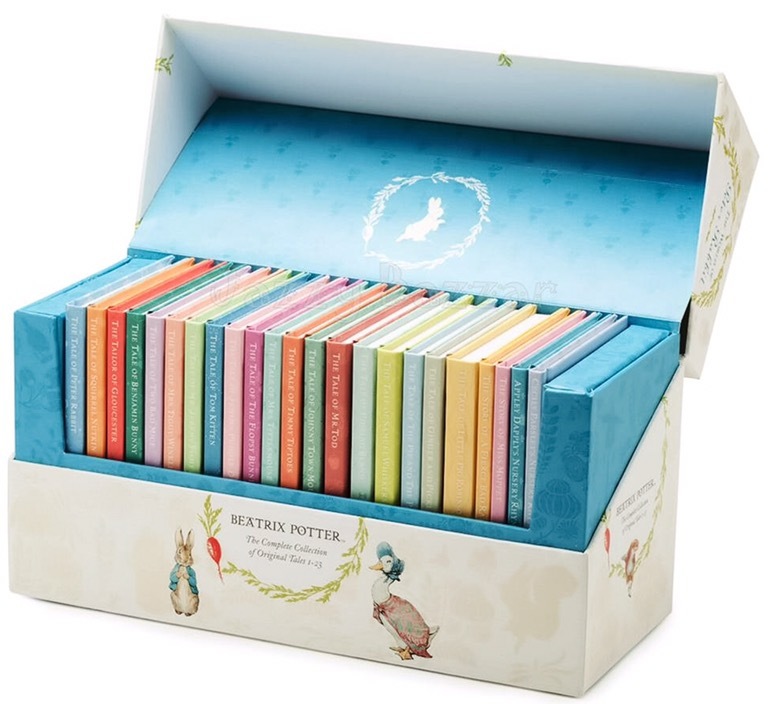 I feel lucky that I got to experience the Potter books as they were released. I feel sorry for children now as they don’t have the Potter phenomenon that I had when I was little. The books will always live on though. Most of the Harry Potter fans have already been tagged, and/or have done this post. However, if anyone has slipped under the net, please take part! Potterheads unite!